Pictured right: The Farm House at The Ball Farm. The Ball Farm is a family-owned and operated ranch and event venue in Lytton Springs, near Austin, TX. The property has been in our family for over 40 years and has seen many friends, events and beautiful sunsets over the years! Husband and wife team, Josh & Ivey now reside at the Ball Farm and are working to grow and share this special space with the Central Texas community! Reach out to us to get to know us or keep reading below for more Ball Farm family history. Through 3 generations, the Ball Farm has grown and evolved in many ways. In 1976, Josh's father, Bob Ball, purchased the land that would come to be known as The Ball Farm for his parents, Robert and Melba Ball. Robert and Melba were to live and retire on the land, which at the time had no houses or infrastructure. The family worked together to clear trees, build fences and a barn and construct the 2-story farm house - all from the ground up. Pictured above as "Bob & Mickey", Robert and Melba Ball met on the corner of Hollywood and Vine in LA in 1945 and married that same year! Robert was in the army from 1941-1952. After surviving a harrowing experience in the Phillipines during WWll, he retired from the army with a Bronze Star Medal. They settled in Texas in 1973. The farm house was a big family project between 1976-1978. 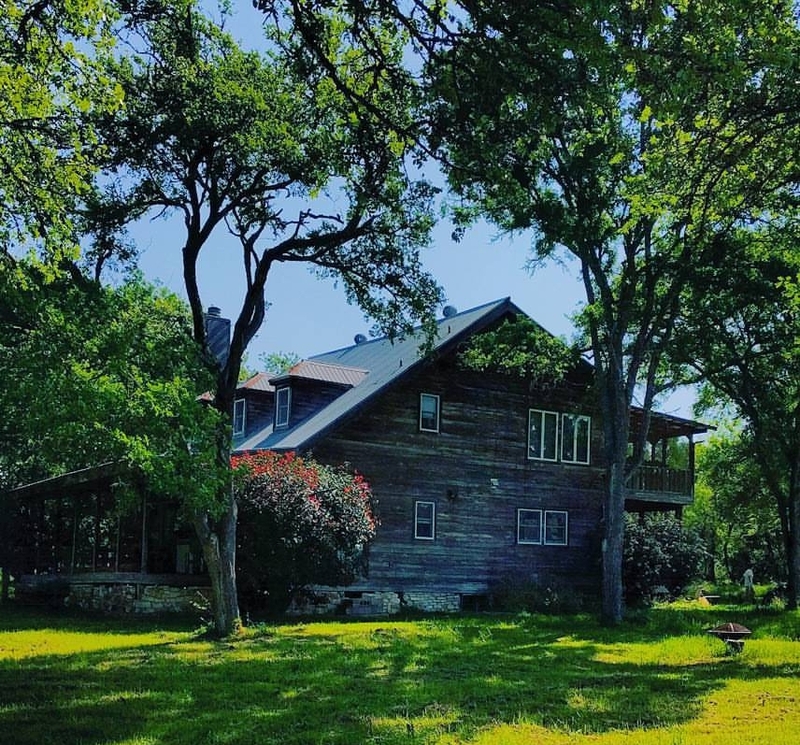 Reclaimed wood for the house was supplied from a 1925 school house in Taylor, TX, the old Taylor Railroad Station, and even a Pecan tree that fell on a friend's house. At 117 pounds, Melba Ball sanded and laid all of the hardwood floors in the house by herself! After 2 years of continual construction, 1 broken leg and many hours of labor by family and friends, The Farm House was complete. Robert and Melba spent many years on the farm raising cattle and growing hay. During this time, their grandchildren, Lucien and Josh Ball, were regulars at the farm, and it became a truly special place for the whole family. After the passing of his grandparents, Josh moved in to keep an eye on the house, cattle and land. Josh was inspired by the beauty and seclusion of the property and began organizing concerts and bonfire parties for his friends and the Austin and San Marcos music communities. Over time, and with the amazing support from his parents, Bob and Anne, the parties that Josh launched in college evolved into larger, reoccurring events like The Red, White and Blue Ball (4th of July concert) and Oxblood Masquerade (Halloween concert), as well as other music, film, corporate and sporting events. In the spring of 2016, Josh and Ivey hosted The Ball Farm's first wedding, and two months after their own #BallFarmWedding in spring of 2017, The Ball Farm Wedding Venue was officially launched as a new family business. Josh and Ivey currently manage events at the Ball Farm, including weddings, concerts and Goat Yoga! We couldn't do it without the support and love from our family. We hope you'll join our family as well. Come by for an event or tour, and get to know us!